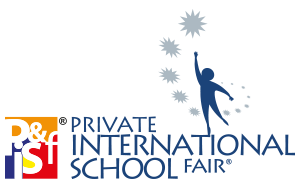 Mint Comm Pte Ltd will be organising its 2nd Private & International School Fair in Singapore! The fair features international schools based in Singapore and Malaysia. These schools offer preschool education, primary and secondary school and pre-university programmes. Some of the schools participating in the fair also have boarding facilities. If you are considering an international school education or a boarding school for your children, the fair is a great avenue to find out more about your options in Singapore and the region. In addition to talking to representatives from international schools, parents will also be able to learn more about the different international curricula and the advantages of a boarding school education through the talks by various schools. 3:30pm Which Curriculum is Suitable for my Child? Valid on 19 May 2018 only. Available for up to 5 adults per booking, any additional guests to be charged at full price. Above offer cannot be used with other discounts, promotional offers or loyalty card program. Only one discount sticker can be redeemed per table. Other terms and conditions apply at the hotel management's discretion. Above offer cannot be used with other discounts, promotional offers or loyalty card programs. Operation Hours: 12pm – 4pm (Lunch), Dinner not available as there is an exclusive booking for private event.